Featuring several outstanding composers, the "Written for You" collections include some of the best-loved piano solos from this popular series. 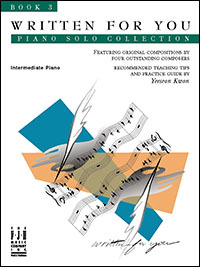 Each book represents a variety of sounds and styles, and includes a "Recommended Teaching and Practice Guide" by Yeeseon Kwon. 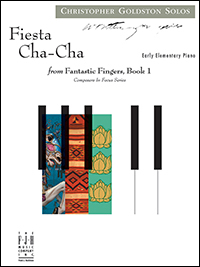 In this original composition, Goldston inspires us to explore the sounds and rhythms of a traditional Mexican piece. This early elementary work is written in Middle C position, making it easy to learn and memorize. Its rich use of staccatos, slurs, and accents serve as a valuable tool in the teaching of phrasing and articulation.